Eloping has truly come a long way. According to the New York Times, "… elopements of one sort or another are almost as common as the traditional ceremonies in churches and banquet halls." With this stress-free alternative to the traditional wedding service and reception and the much more romantic alternative to the justice of the peace, today's eloping couples have many options for defining their own wedding experience. Eloping can mean jetting off to the Caribbean or Vegas, but a more local approach might mean either eloping in town (going to a scenic, local outdoor venue or restaurant and having a small ceremony), nearby destination weddings, such as a North Georgia mountain cabin, or even going to the minister's house for a quick, budget-friendly, meaningful service. 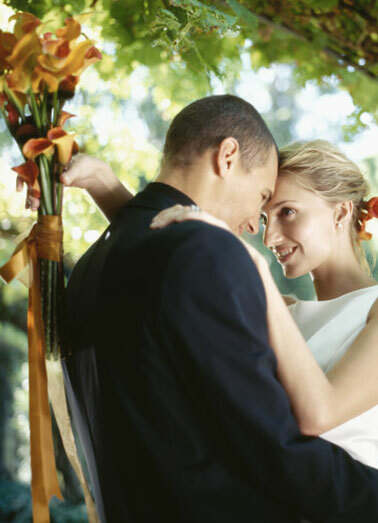 With a local elopement, you can replace the rushed, sterile courthouse experience with an intimate, romantic event to remember.